This invention made a major difference because it provided a way for homes to be kept warm without wasting as much wood and without the dangers associated with a traditional fireplace. The original design allowed smoke to be released from the bottom of the stove. Alas, this method was not as functional due to the scientific fact that smoke rises. Despite this flaw, it was an improvement in the safety and convenience versus previous methodology. At one point the governor made an offer to allow Franklin the patented and exclusive right to produce and sell the stoves. Surprisingly, he did not take the governor up on his offer since he believed that innovation should shared in a free and generous manner. He was simply happy to know that he had fulfilled his aim which was to institute the invention of a stove that warmed homes efficiently while not overusing fuel. Ben shared the plans for his invention to a friend of his he had made early on, manufacturer Robert Grace. Franklin proceed to promote the invention thereafter by way of “An Account of the new-invented Pennsylvania Fireplaces,” a pamphlet released in 1744. It contained a description Franklin composed which explained the construction and operation of the unit, in addition to the benefits the stove had versus alternative methods for warming homes. David R. Rittenhouse reconfigured the design in the end of the 1780’s. His plans included a chimney with an L-shape, and it was dubbed the Rittenhouse stove. 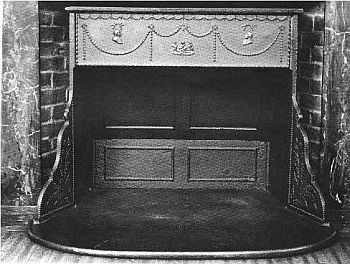 Despite this, today this version is called the “Franklin stove.” This is due to the fact that it was originally invented by Benjamin Franklin—and merely modified by Rittenhouse. Around 1790, usage of this improved version of the Franklin stove proliferated and became a mainstay of American culture. Benjamin Thompson, Count Rumford published an article in 1795 which described his simplified iteration of how a fireplace could be constructed. It became the new standard fireplace, and included a flue damper that was adjustable, and a rear panel that was slanted. Today, due to healthy competition being on the rise in the industry, a vast array of manufacturers are continuing the legacy of Ben Franklin and other pioneers of wood stoves and fireplaces. They are modifying them by adding modern conventions such as gas heating, and faux wood. Over two and a half centuries later after the original invention of the Franklin stove, this traditional piece is a must-have component of modern homes the world over.